Property 24: The Bonnie Bide Awa' - Quality, Quirky, Quaint - and Waiting to Welcome you! 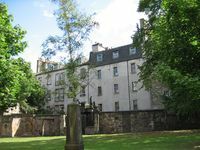 Property 43: Gorgeous Georgian apartment in the heart of Edinburgh's City Centre. We enjoyed our stay in Edinburgh very much, due in large part to the comfort of this flat. The property was very clean and cozy. 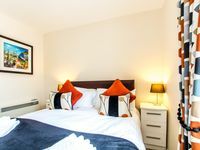 We felt at home in the center of the city and were within walking distance to a variety of attractions and restaurants. It&rsquo;s safe to say that we became regulars at a few of the local establishments. Martin provided detailed information prior to our arrival and also had a &ldquo;how to&rdquo; booklet containing important information regarding the ins and outs of the property. He was also available via phone/text if we needed additional guidance. We&rsquo;d grown very attached to the property, that on our final day in Edinburgh we had difficultly leaving! We look forward to returning to Scotland and to this flat.